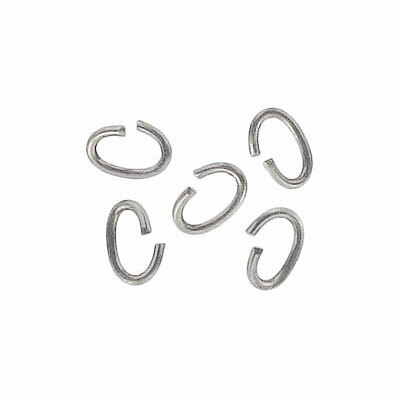 Jumpring, oval 7x5mm outside diameter, (0.9 mm, 19 gauge thickness) stainless steel. Grade 316L. Frabels Inc.